Sierra Club BC is proud to announce that we have been awarded one of the most prestigious international environmental awards for our work on the Great Bear Rainforest Agreements. Together with our partners in the Agreements – First Nations governments, the B.C. government, Greenpeace, STAND and forestry companies – we are the recipients of the 2016 EarthCare Award bestowed by Sierra Club US. This award honours individuals or organizations that have made a unique contribution to international environmental protection and conservation. With 2.4 million members, Sierra Club US is the oldest, and one of the largest environmental organizations in North America (and independent from Sierra Club BC and Sierra Club Canada). The Agreements protect one of the largest remaining relatively intact temperate rainforest areas of the world. Eighty-five percent of the Great Bear Rainforest is now permanently off-limits to industrial logging. The Agreements provide an astonishing example of land use planning and a new model of conservation management informed by science, First Nations rights over their lands, and stakeholder input. They protect biodiversity, help mitigate climate change, support improved community well-being, and provide a level of economic certainty to the forestry sector. The Agreements are considered a milestone for collaboration across sectors. We’ve learned some amazing lessons through this process – lessons we are applying to building a strategy for Vancouver Island, where coastal rainforests are in a state of ecological emergency. 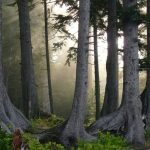 With the GBR Agreements signed, Premier Christy Clark has sanctioned the wholesale liquidation of unprotected productive old-growth on Vancouver Island. These ancient trees are the white rhinos of this part of the world—incredibly rare and under siege from forces that see them as nothing more than a source of profit. These trees store huge amounts of carbon, protecting us from global warming and providing habitat for critically endangered species such as the marbled murrelet. In the last 11 years, Vancouver Island lost 100,000 hectares of old-growth rainforest. This high rate of logging will inevitably led to an ecological and economic collapse unless the B.C. government takes immediate action. We need to build on the work we did in the GBR to create a made-on-Vancouver Island approach to protecting these few remaining trees. In order to do that, we need to continue to build powerful coalitions across Vancouver Island so that the B.C. Government cannot ignore us. Our work to protect B.C.’s ancient coastal rainforests doesn’t end with our success in the Great Bear Rainforest. 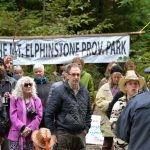 Please donate to help us ensure Vancouver Island’s last unprotected old growth trees stay standing for generations to come.